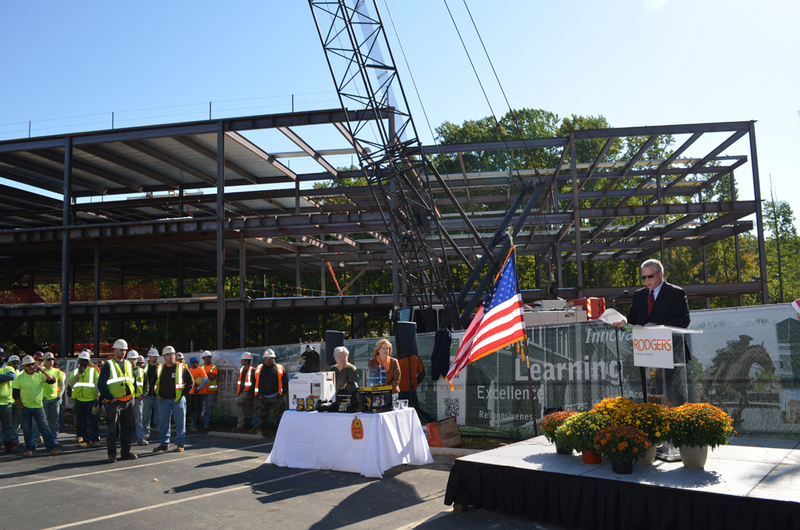 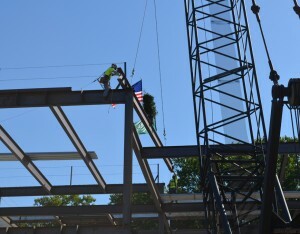 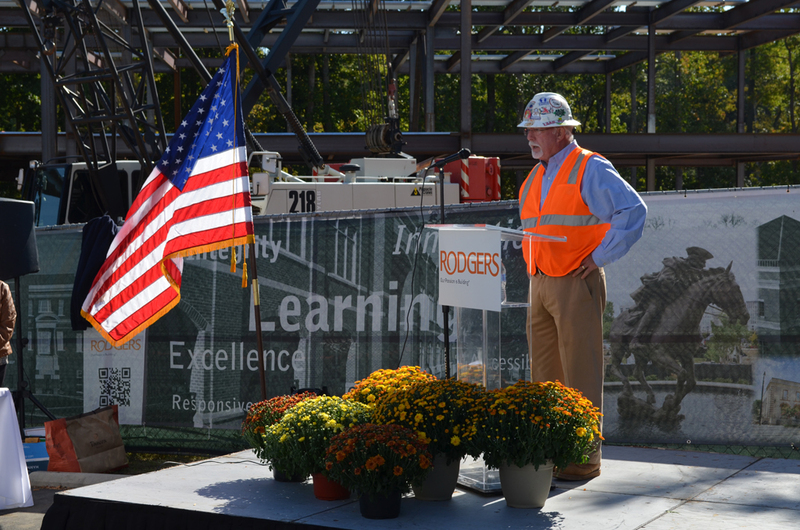 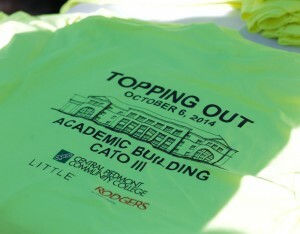 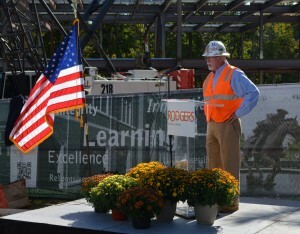 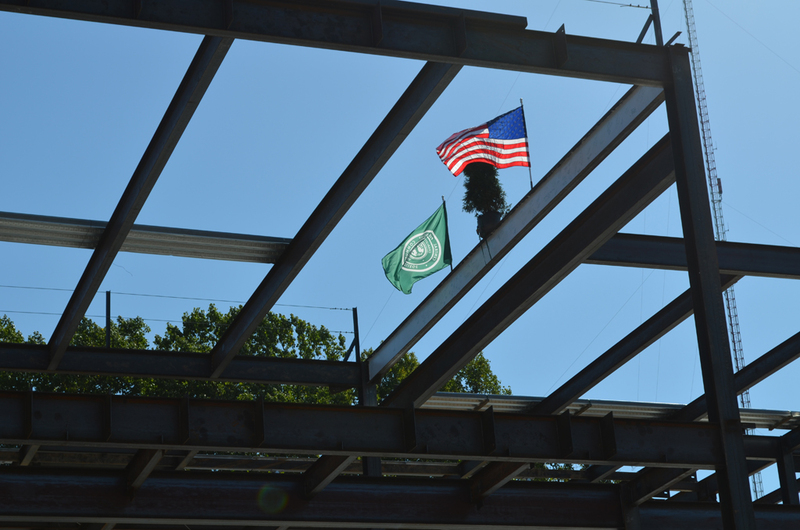 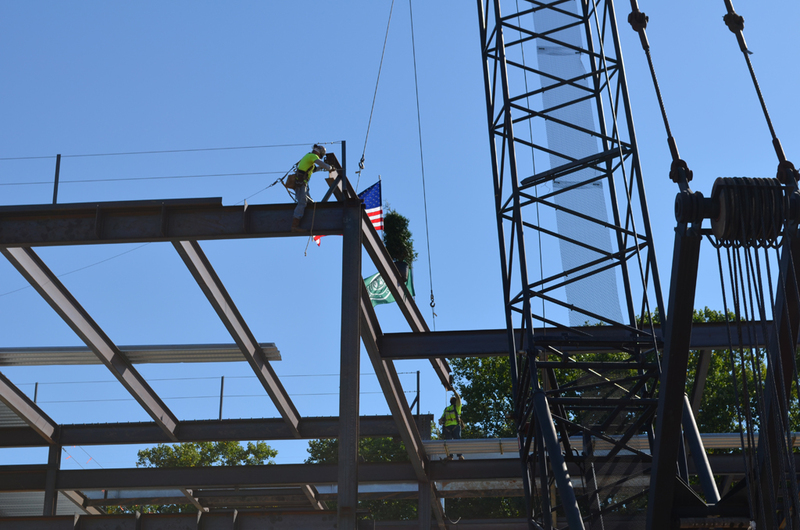 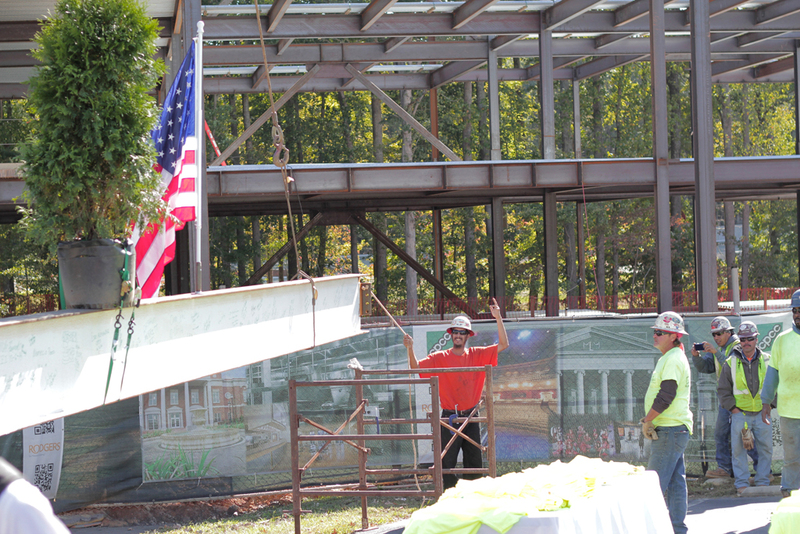 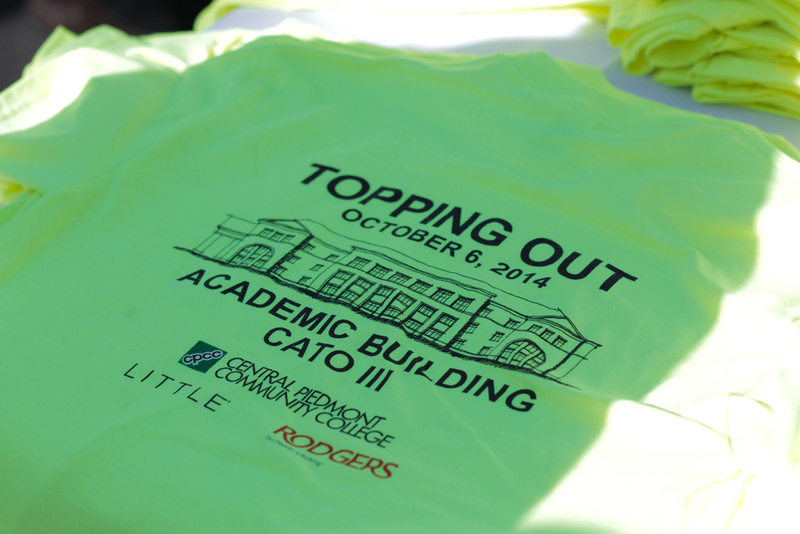 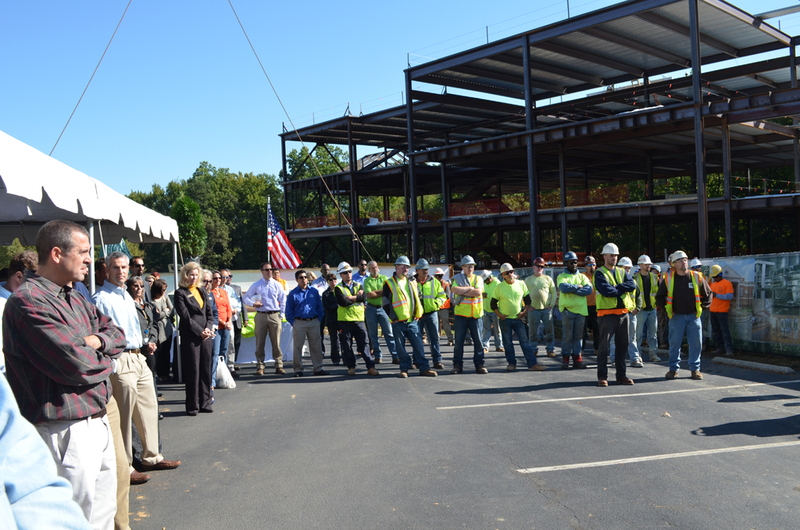 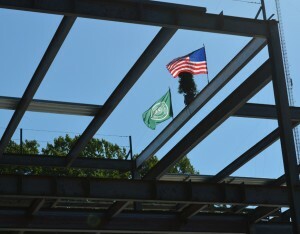 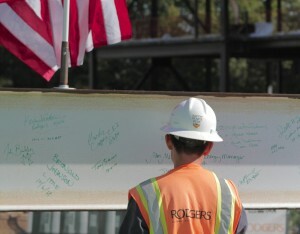 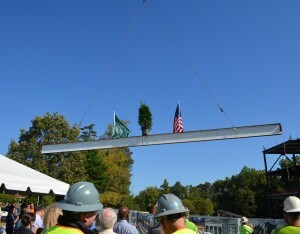 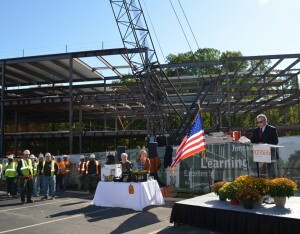 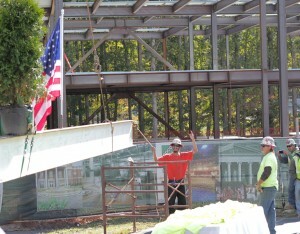 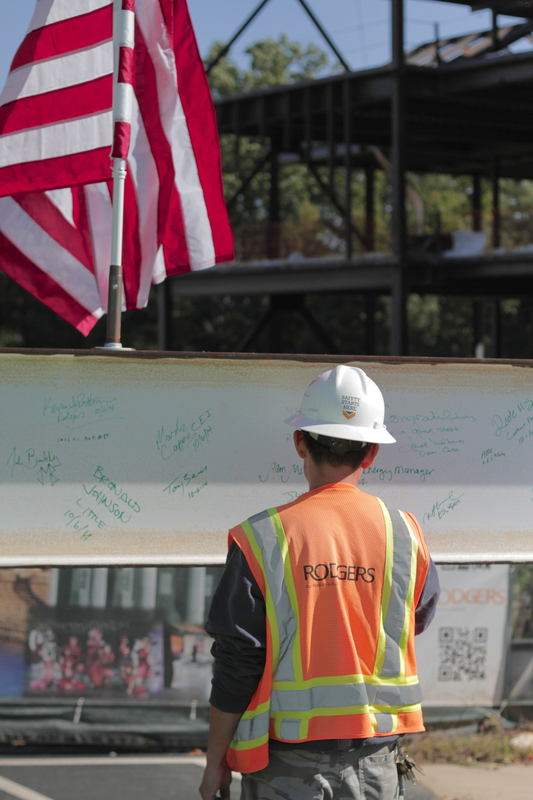 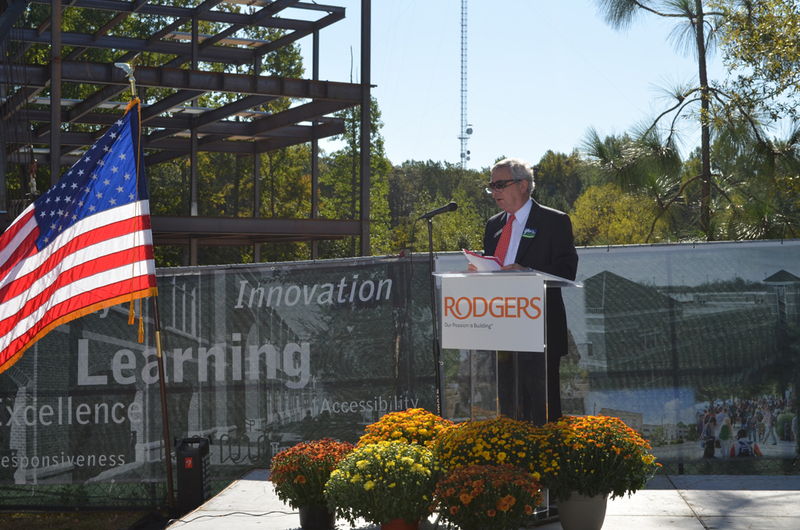 CPCC’s Cato campus academic building tops out - Rodgers Builders, Inc.
On a crisp fall morning, Rodgers’ construction team raised the final steel beam to signify topping out of a new 85,000-square-foot academic building at Central Piedmont Community College’s Cato campus. 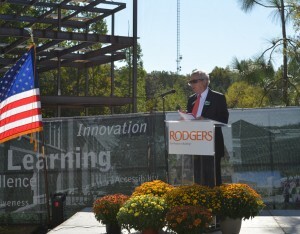 Dr. Tony Zeiss, CPCC’s president, described the facility, which will house a new campus library, the college’s American Sign Language program, a 150-seat auditorium, student lounge, classrooms and computer labs, and a horticulture design lab. 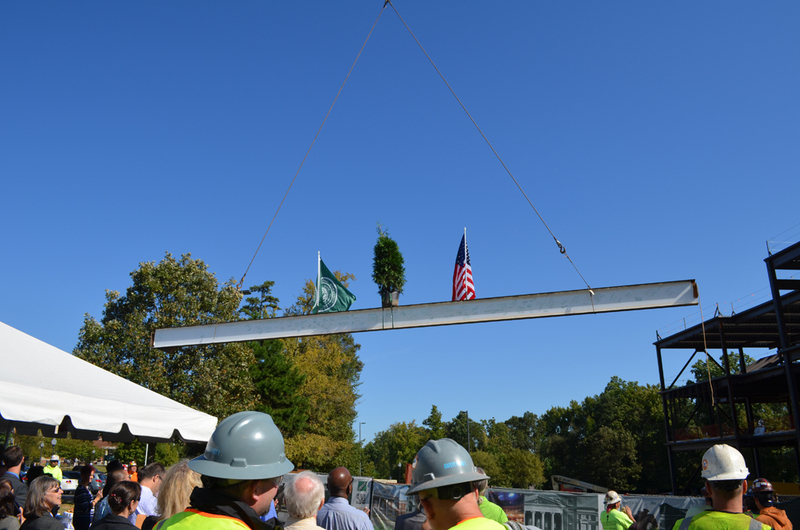 The project also includes new parking areas and a 150-foot pedestrian bridge, and it is expected to be complete in early 2016. 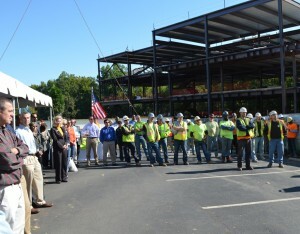 Click an image to view slideshow below.